When the Gstaad Palace opened for the first time in 1913, it was celebrated for being a truly modern hospitality icon. Over a century later, the hotel has become known as a classical masterpiece, continuing to offer some of the finest service in the region. 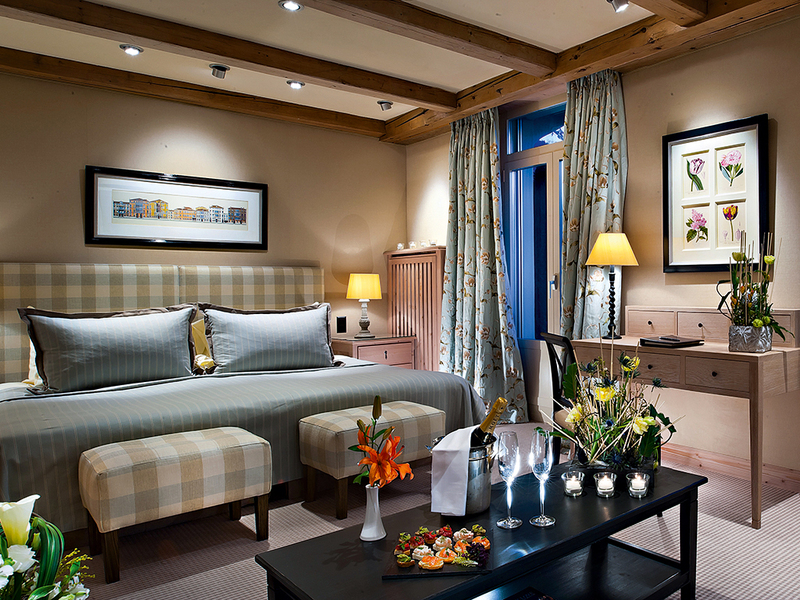 The Gstaad name is synonymous with sophisticated holidays in an unspoiled natural environment. Offering a unique juxtaposition between modernity and tradition, Gstaad Palace makes a point of supporting traditional lifestyles, crafts and architectural forms. The enormous, far-reaching appeal of this stylish and traditional resort has been summarised time and time again with the German word ‘gemütlich’ – warm, restful and friendly. When visiting the alpine resort, actress and long-time resident Julie Andrews described it as the “last paradise in a crazy world”. The turreted landmark in Switzerland’s Saanenland valley embodies such a philosophy through seamlessly combining grand hotel glamour with its natural alpine cosiness. The hotel’s guest list from the past century reads like a who’s who of the international jet set, including a collection of Hollywood names, European presidents and managing directors of globally operating firms. Today the 101-year-old fairytale castle is in the hands of the third generation of the Scherz family, who are committed to maintaining the original objective of their lineage. Satisfying their guests’ every need and creating a pleasant, relaxing atmosphere are the staff’s main goals; something that is noted in the hotel’s own maxim: ‘every guest is a king, and every king is a guest’. Nestled in an environment that couldn’t be more inviting to groups and business clienteles, Gstaad’s ‘Rent-a-Palace’ scheme gives visiting delegates the chance to hold the keys to one of the world’s last family owned and run grand hotels in their own hands. Reserving the entire Gstaad Palace is an appealing alternative for large groups and conference assemblies, providing exclusive access to the historic resort and its facilities. Guests are also given the full attention of the hotel’s dedicated staff, guaranteed privacy for all meetings and events, a luxurious setting complete with spectacular views of the Alps, and a vast selection of amenities and recreational facilities within easy access. There are five conference rooms on site, ranging in size from 200sq ft to more than 2,000. All meeting rooms are fully equipped with the resort’s own high-specification technical conference equipment. Additionally, 104 guest rooms and suites offer majestic mountain vistas, while five different restaurants famously serve culinary delights provided by the hotel’s award-winning executive chef Peter Wyss. Guests also have use of the hotel’s expansive Palace Spa, which ranks among the most beautiful in the Alps, as well as four tennis courts, a squash court, and Gstaad Palace’s own nightclub, GreenGo. In the Gstaad region, guests have access to a unique selection of first-class activities set in idyllic natural surroundings. Countless leisure time opportunities are on offer, including heli-skiing, hot air ballooning, river rafting and canyoning. Alpine authenticity, proudly maintained traditions and a touch of glamour give the area an unmatchable air of beauty, making Gstaad so refreshingly different from the rest of the world.